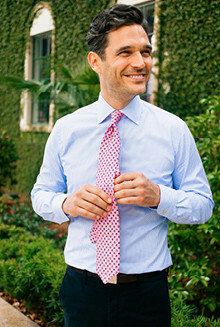 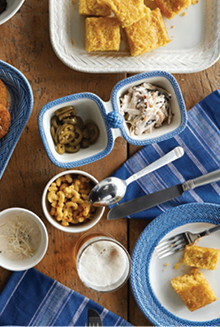 ASHA's irresistible best seller is the perfect personalized gift for that special someone (or yourself!). 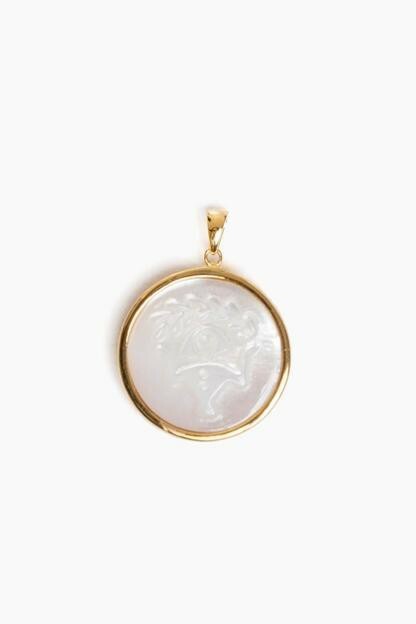 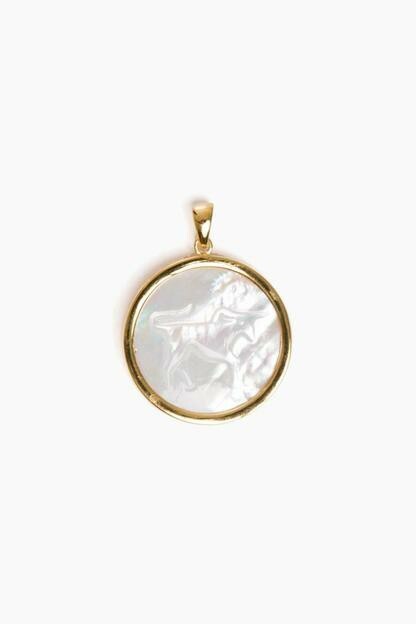 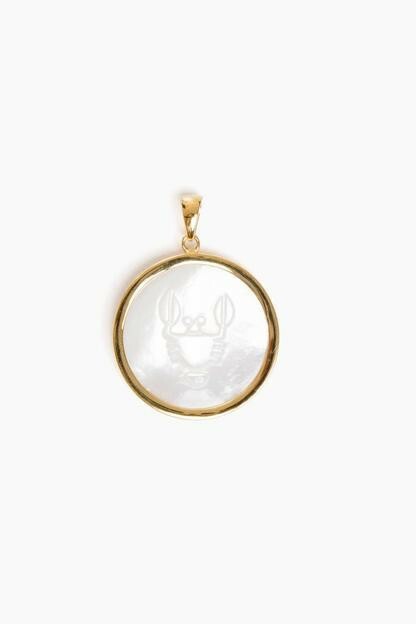 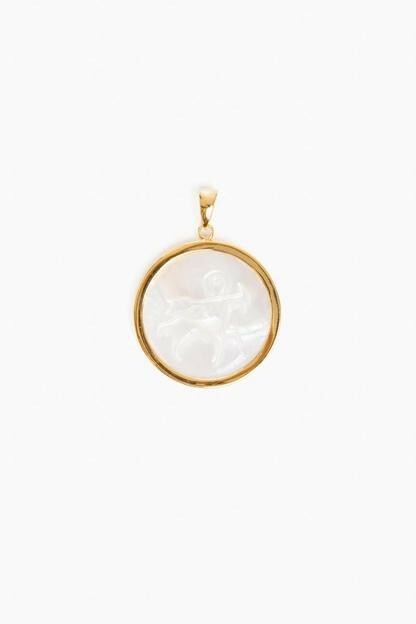 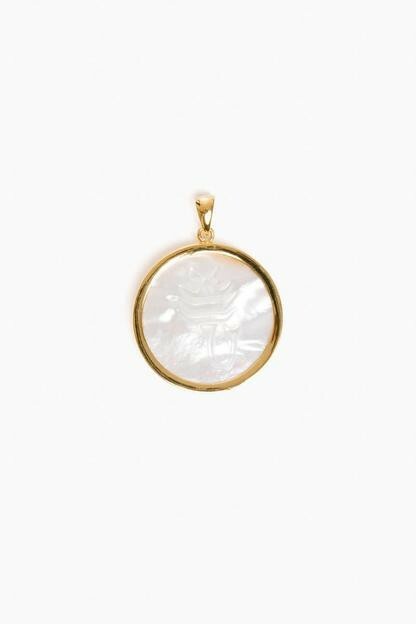 The 14k vermeil and mother of pearl pendant hangs on a 30" chain. 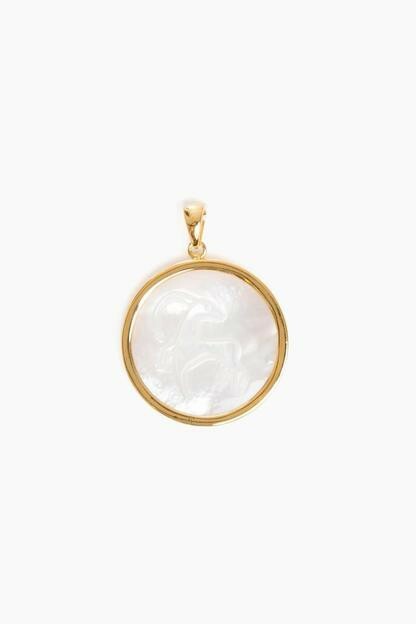 Easily dressed up or down, this necklace is perfect to wear to the office, a party, and everything in between!